It's no secret that Sony's PS Vita is still struggling. Sony attempted to spark interest recently with the release of a brand new, cheaper model, but they completely missed the mark. Not only has the screen quality decreased, but the outrageous memory card prices still stand as well. Now with the release of the PS4 Sony once again aim to increase Vita sales without actually making it a better system. 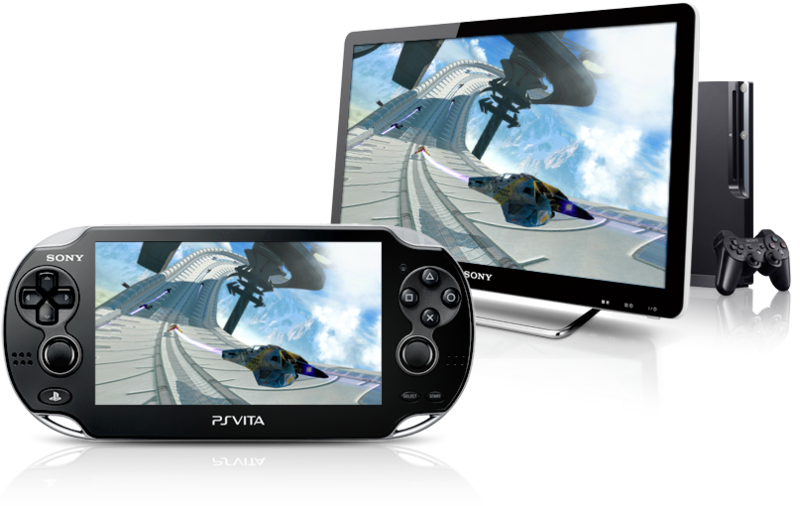 The PS4 offers next-gen titles compatible with one of the more interesting features of the Vita: Remote Play. Similar to the functionality of the Wii U gamepad, Remote Play allows PS4 games to be streamed to and played on the Vita via a local wireless connection. Sony's hopes are that with more games featuring Remote Play capability, people will suddenly fall in love with the Vita exclusively for the thrill of playing Battlefield 4 on the toilet. However this is a grass roots approach for Sony to take. Their motto has for a long time been "What Nintendo does, steal it and do it better," and for the most part they have been successful. (Though this can be said for most of the industry, not just Sony.) But what happens when Nintendo, the industry trailblazers, fail in their own right? Well, Sony's ace in the hole is lost, that's what. Sony had hoped to fall back on the success of the Wii U with their introduction of Remote Play. The problem: nobody is buying a Wii U. The reasons for the failure of the Wii U are shared by the Vita. Both are too niche and too different. Both consoles took major risks and saw no return. Although with the launch of the PS4 the Vita has one more trick up its sleeve that may rescue it from its current state. While I warn you this may be shocking, something this bold and daring is sure to have at least a small effect on Vita sales: games. Near the end of the PS3's lifespan, Sony introduced cross-platform games. These games included AAA titles such as Sly Cooper: Thieves in Time and Playstation All-Stars: Battle Royale. The idea is that if you buy a game for your PS3 or PS4, you also get the game for the Vita. After all, one of the major issues with the Vita is still a lack of killer titles. Cross-platform games are by far Sony's best attempt to pull the Vita out of the shallow grave it has dug itself in two years time. Now that the PS4 has arrived, it is only a matter of time before massively hyped next-gen games receive the cross-platform treatment, making the Vita a much more appealing handheld in the eyes of many.